This framework was developed based on a literature review of existing studies around city competitiveness and innovation, along with experiences working with client countries and partner research. It identifies four key properties relevant to city innovation ecosystems: people, infrastructure, economic assets, and the enabling environment. The framework revolves around the hypothesis that connections and communities are key success factors for ecosystem growth and sustainability. 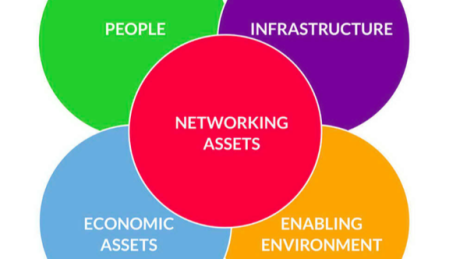 Networking assets – which are defined as community building events, skill training events, collaboration spaces, and networking of mentors – create and sustain these communities. Our dataset contained geographic location data for 70% of all the startups polled. 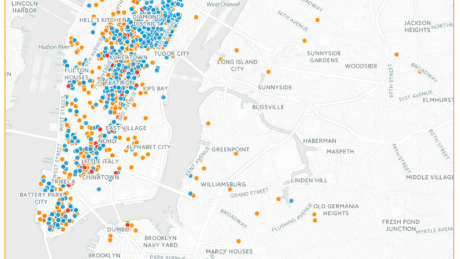 By mapping and analyzing this data, we were able to visualize and identify clusters of startup locations in and around Manhattan (charts 1 and 2), providing us with the insight that the geographic center for innovation in New York City is located in Midtown Manhattan. Given the variety of players in the technology ecosystem of Manhattan, we decided to further investigate the role that each type of player takes on within the larger ecosystem. By breaking down the network by types of players and measuring various types of centrality of the nodes (chart 1), our team was able to calculate and measure the influence each group held within the ecosystem, as shown in chart 2. The resulting findings showed that while startups have the highest closeness centrality and are at the center of the social network, incubators have the highest degree, eigenvector, and betweenness centralities and are key connectors within the ecosystem. 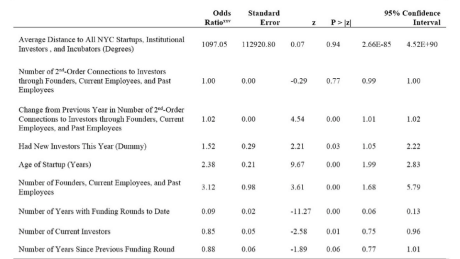 Because of the variety of factors in determining the level of a startup’s success in raising capital, we utilized a conditional fixed-effects logistic regression to determine which factors statistically impacted financial success the most. The regression showed that geographic centrality was not significant in the model; however, what is significant is social momentum – the faster a startup gains second-order connections to investors, the more likely they are to successfully fundraise. As the charts below show, while location alone does a poor job of explaining centrality, the closer a startup is to other startups, the higher the startup’s degree, eigenvector, and betweenness centrality. 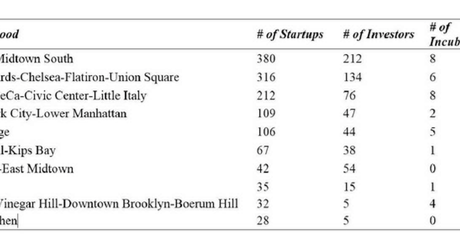 Meanwhile, the closer a startup is to investors, the higher the startup’s closeness centrality. 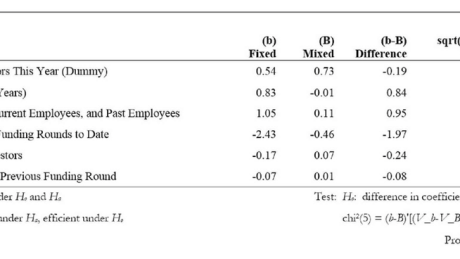 This result suggests that startups closer to other startups may be highly connected but within an insular startup community, while startups farther from other startups may be less connected but connected with a more diverse set of nodes. Copyright World Bank ICT and Innovation Unit.